Farr 40 fleet will be included in this year’s regatta, which will benefit local chapter of Leukemia and Lymphoma Society. 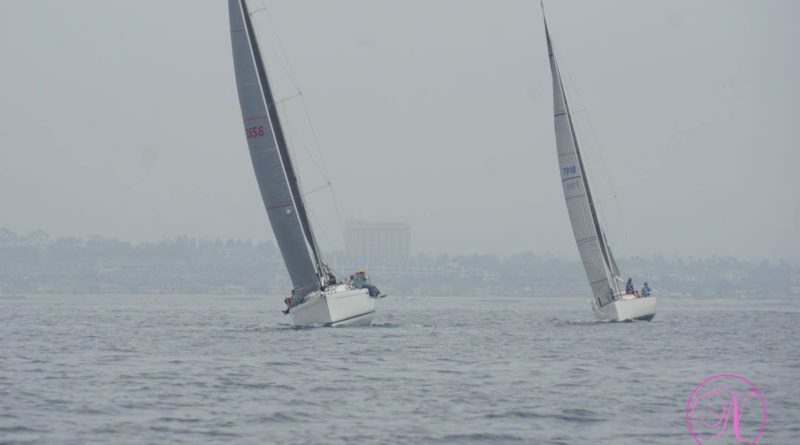 NEWPORT BEACH—Sailors of the Farr 40 class will now be able to support blood cancer research and patient services, as Bahia Corinthian Yacht Club and the Orange County Inland Empire Chapter of The Leukemia & Lymphoma Society (LLS) announced the Leukemia Cup would add the large one-design sailboat to the regatta. The Farr 40 addition will be part of the 2019 Hot Ticket Leukemia Cup, which helps raise money for life-saving cancer research. More than $3 million has been raised for leukemia research, according to a statement released by Bahia Corinthian YC. This year marks the 17th consecutive time Bahia Corinthian YC is hosting the Leukemia Cup at its Corona del Mar venue. Hot Ticket Racing is the sponsor of this year’s event. Racing will take place over a series of events in June and August, beginning with the Junior Sailing Regatta (Harbor 20 Fleet) on June 2. Farr 40s will compete during a weekend regatta at Bahia Corinthian YC, Aug. 9-11; the PHRF fleet will hit the water on Aug. 11. “With more than one million people in North American diagnosed with a blood cancer, The Leukemia Cup Regatta is an important fundraising event that gives participants an opportunity to do something enjoyable while making a critical difference in the lives of patients and their families,” Deborah Levy, LLS’S executive director, said in a released statement. All sailors participating in the regatta series are eligible to win prizes and compete at Fantasy Sail, held Dec. 6-8 at Pink Shell Resort and Offshore Sailing School in Fort Myers, Florida.Fantasy Sail is open to anyone who raises $15,000 or more by Nov. 1, through the Leukemia Cup.